It all started with Guillaume's grandfather, Lucien, who took the time to painstakingly research his mother’s side of the family, from their genealogy to their stories. He shared the research with his four children, printing four books, one for each of them. 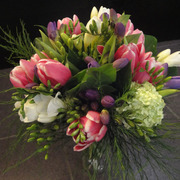 As kind of a gesture as this was, Guillaume felt thinking: this can’t be the ideal solution. Books can be lost, destroyed, or forgotten about. What we really need is something that can survive countless moves, natural disasters, or just plain carelessness or forgetfulness. What we need is a virtual legacy center. How else would we share these books with our grandchildren? How could we comment on the photos and share our memories of these photos? 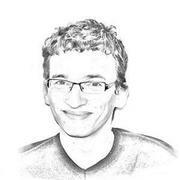 Guillaume became fixated on the idea of building a virtual legacy center ever since. He feels like if this idea never came, he’d have a big hole in my life. This will the be way he keep in touch with uncles, aunts, nephews, grandparents – all the people who matter to him, all in one secure place. This information is absolutely priceless to him, and he expects many other people feel the same. He wants to share the gift of preserving our legacy with others because every family deserves to preserve their memories and the emotions they bring. Famicity is a social network designed to protect, manage, and continue your family’s legacy, no matter where you are in the world. 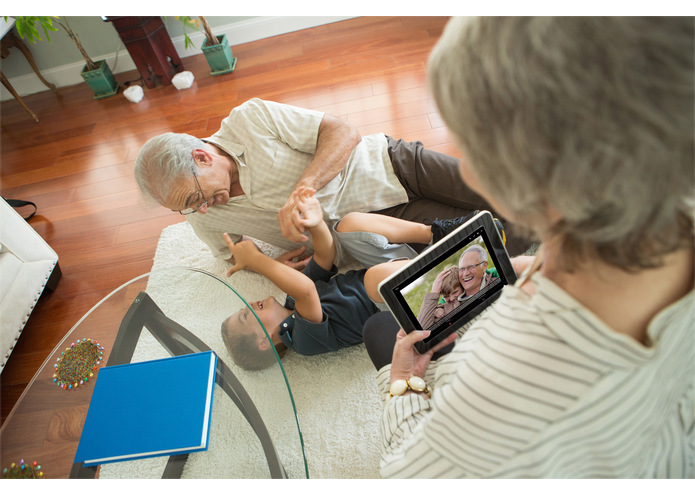 Share photos, videos, and precious moments with your entire family with privacy and peace of mind. Right now, families are dispersed all around the country – or even the world. Websites like Facebook aim to bring families closer together, but with so many friends and articles being posted constantly, it’s easy to lose sight of what really matters: your family. 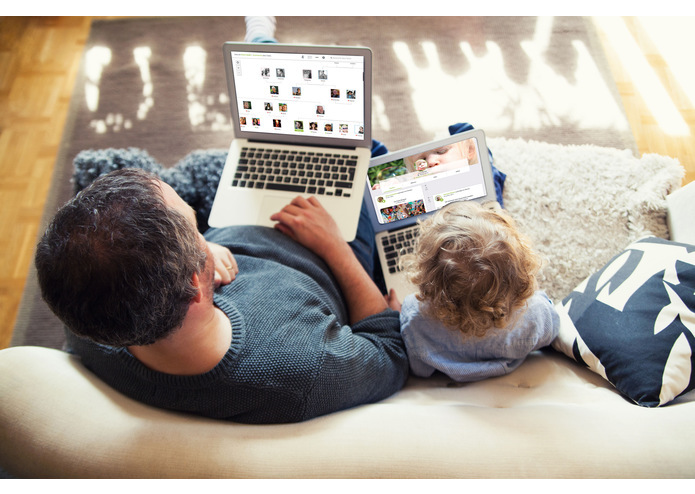 With Famicity, your family is your social network, so you’ll never miss out on those important moments. Keep memories alive Family photo albums are fantastic for their nostalgic value, but they’re a little 20th century. They’re difficult to share with family who live overseas, easy to lose when moving, and often end up in boxes in the attic where no one thinks to look at them. 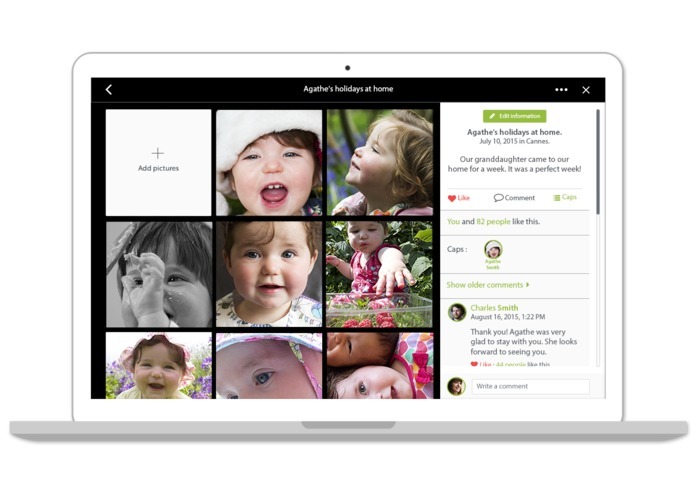 Your memories deserve better – keep them up to date and appreciated with Famicity. Pictures keep your family together Pictures are the gateway to memories, and memories are the gateways to emotion. Share the moments of pure joy with your family – such as births, weddings, and graduations – in a way that is authentic, personal, long-lasting, and emotionally significant. Going beyond genes However, genealogy isn’t the be-all and end-all of family trees, which is what existing websites like Ancestry and MyHeritage get wrong. What matters more is the emotion and the stories that are passed down from generation to generation, which Famicity is unique in preserving. 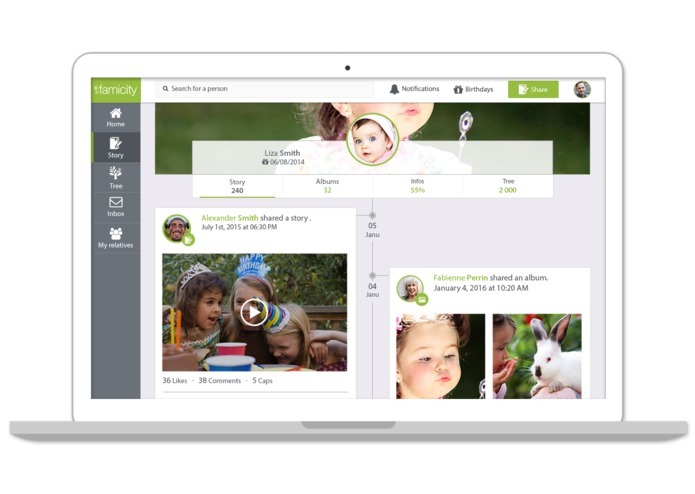 Instant family newsfeed Unlike other social networks, Famicity is private and limited strictly to families. This way, you’ll never have to sift through a mountain of unimportant posts, cat videos, and political articles in order to discover what your nieces or grandparents on the other side of the world are up to. Famicity tweaks existing technology to create an interactive, responsive website with mobile app compatibility to work with both iOS and Android devices. However, unlike other websites, Famicity utilizes an entirely private social network based on the family tree for both security and easier contact. 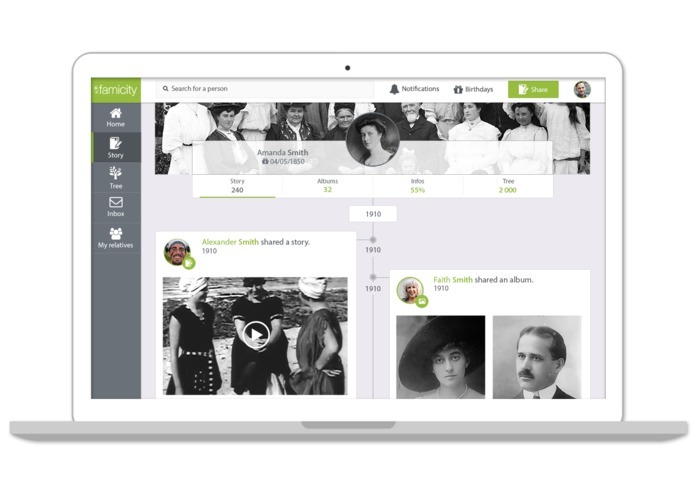 Going beyond just a simple social network, Famicity also offers integration with existing genealogy software to be the all-in-one legacy solution. 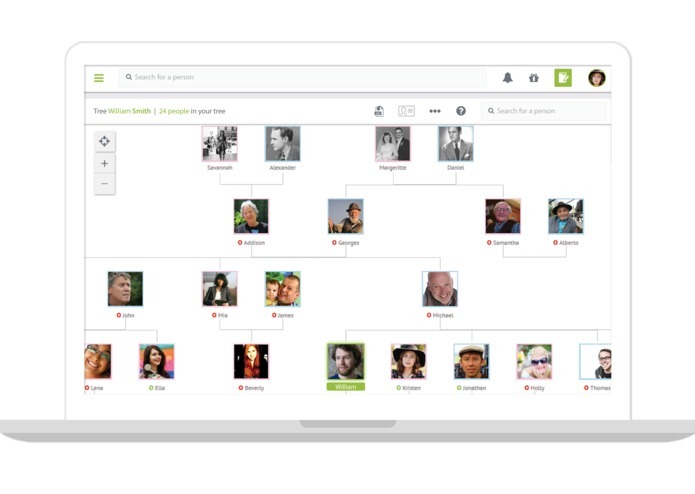 It is compatible with GEDCOM format and Family Search, which allows you to import and export all the data related to your family tree with ease, so that everyone in your family network can access this information. First challenge: we are creating something new. 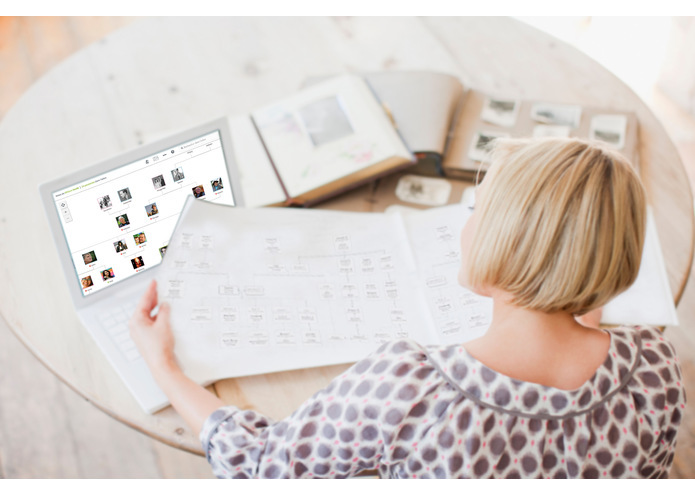 The challenge was to imagine a service that would be used easily by every generation, available on every device (PC, MAC, tablets, smartphones), and compatible with genealogy standard (GEDCOM). We are proud to be able to help families to preserve their family legacy for the future generation. We are proud to have our biggest family with 78,000 profiles in its tree. That’s been an amazing journey and we really hope that it’s just the beginning of it. 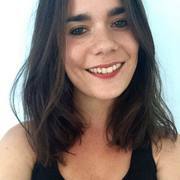 We are also very proud that Famicity is free. We think that every children, no matter his social background, must have a chance to know where he is from, and who his ancestors are. 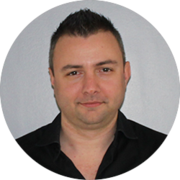 Famicity will be financed by optional features that will also add more interactivity. We'll be launching our premium version in few months. On Famicity, we will be able to share videos, documents and audio. These contents will be a real treasure for the next generation!